Hello Kitty loves all her friends and making new ones! This book is packed with fun friendship activities and fab pages to fill in with friendship facts. This book is packed with friendship facts and pages to colour and fill in. 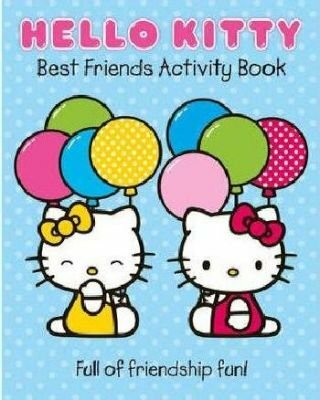 Hello Kitty tells you all about her friends, shows you how to make a very special friendship bouquet and how to fill out fun friendship cheques. You can also solve puzzles, help Hello Kitty work out how to spend the perfect day with friends, colour in lovely pictures and much much more. This book is perfect for all your friends!